Cabinet card of the Shaker School, ca. 1880. Shaker Museum | Mount Lebanon 1981.19387.1. Those Shakers assigned to teach school found their work challenging. Yet it is clear that she and many, if not all, of the teachers at the Mount Lebanon school took their responsibilities seriously. Yet it is clear that she and many, if not all, of the teachers at the Mount Lebanon school took their responsibilities seriously. Though Brother Isaac found the school “quite a burden,” he obtained a certification in teaching which permitted the school to receive public funding, and wrote of the school that “for our honor… I wish to have the world see cause of commending us.” Brother Isaac, a master of all trades, even worked on the design and construction of the school building, as well as the students’ desks. Photograph by William Winter of the Shaker school building. Shaker Museum | Mount Lebanon 1989.3.2. By that time, the school was subject to twice-yearly inspections from the Town Superintendent, and had to be taught by “qualified teachers in possession of a certificate of qualification as required by law,” according to a record of the annual reports filed. 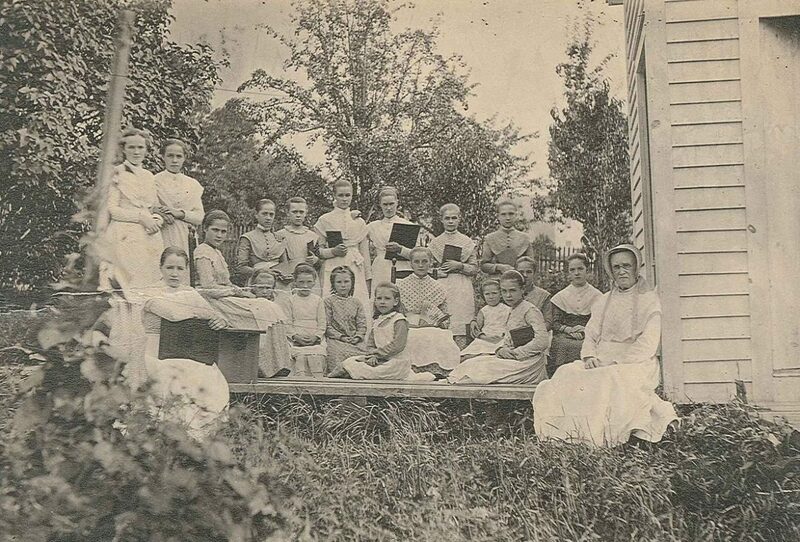 For the year 1856, the school report stated that “our school house is in good repair” and that “the yard, fences, and outbuildings are all clean, commodious, & in good repair.” The Shakers had to affirm that school was taught for the prescribed period of time, and had to report on the number of books in its library, texts for a curriculum that included such subjects as geography, astronomy, and chemistry. 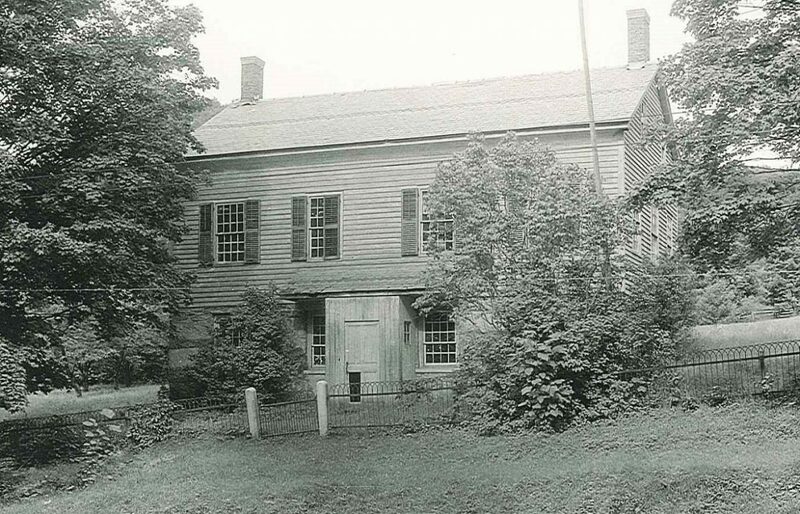 Eventually the Shaker schools attained a reputation for excellence, and taught children who lived near but not in the community as well as those raised by the Shakers. 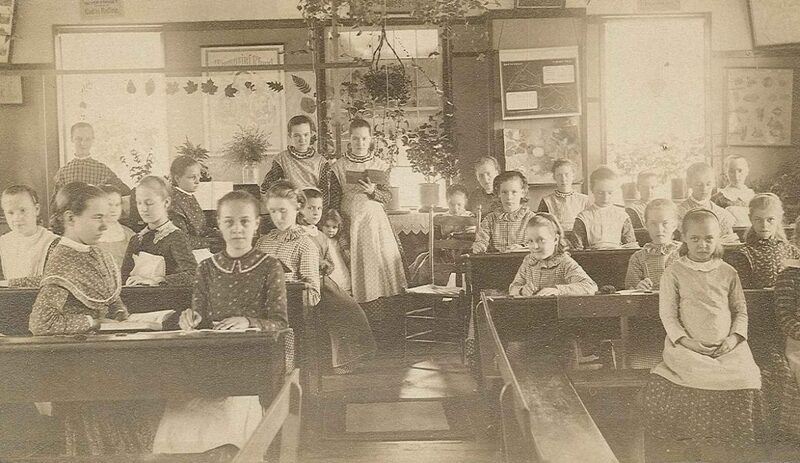 Cabinet card showing Anna Dodgson, seated at right, with her students. Shaker Museum | Mount Lebanon 1966.15964.1.